PLYMOUTH ARGYLE SUPPORTERS ASSOCIATION LONDON BRANCH | PASALB (and Barrow) needs you! PASALB (and Barrow) needs you! 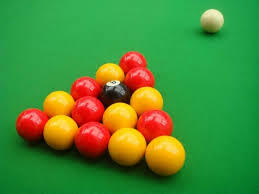 Having lost a few key players during the season the joint PASALB/Barrow pool team has been struggling to field a full side; could you help? While it helps to be able to know one end of a pool cue from the other, it doesn’t matter too much about your ability to play. The matches, though competitive, are usually a fun and very social evening. Our next match is against Hearts at the Southwark Brewing Company tomorrow (Tuesday 16 May). The brewery is at 46 Druid St, London SE1 2EZ and has a fine selection of beers.